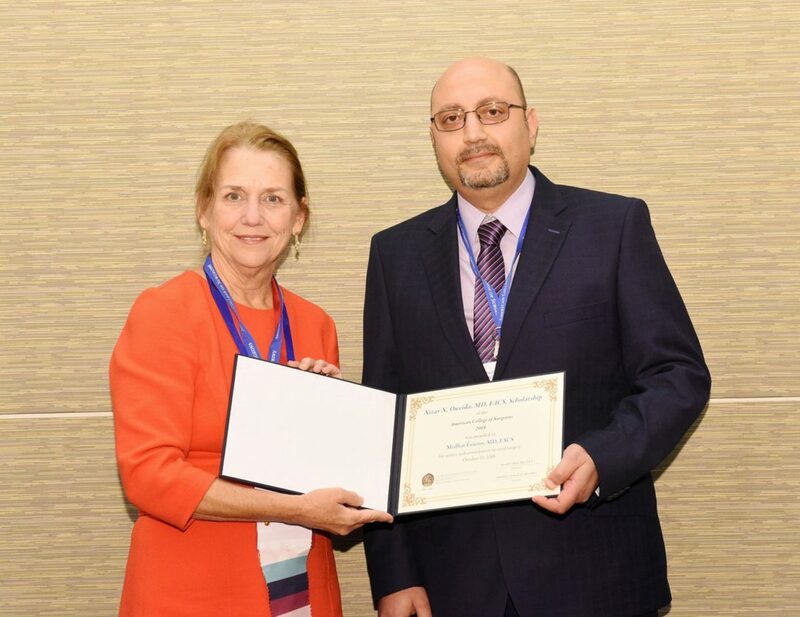 DR. MEDHAT FANOUS, at right, general surgeon at Aspirus Iron River Hospital and Clinics, receives the Dr. Nizar N. Oweida Scholarship from Dr. Barbara Lee Bass, president of the American College of Surgeons. IRON RIVER — Dr. Medhat Fanous, general surgeon at Aspirus Iron River Hospital and Clinics, has been awarded the Dr. Nizar N. Oweida Scholarship by the American College of Surgeons. Only three surgeons in the United States and Canada are awarded this scholarship each year. This scholarship is given to surgeons who choose to practice in small towns or rural areas. Given at the American College of Surgeons Clinical Congress that takes place each fall, it is intended to further the doctor’s education and professionalism. Fanous was awarded the scholarship for the robust, minimally invasive acid reflux management program he was instrumental in starting in 2015 at Aspirus Iron River Hospital. 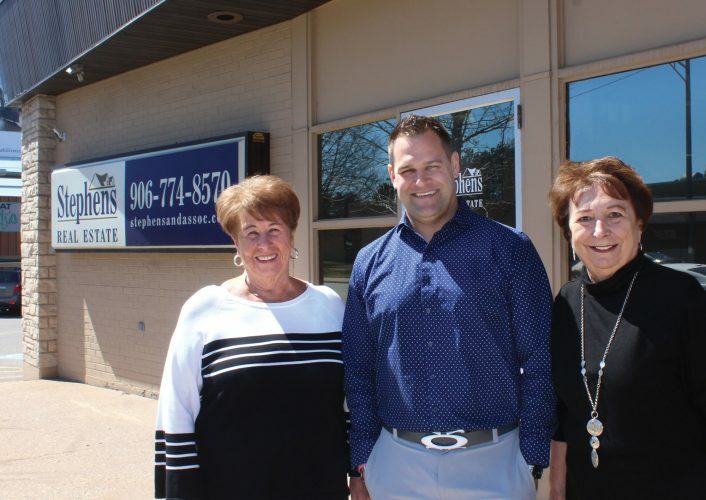 Since the start of the local program, Aspirus Iron River has helped more than 530 patients deal with chronic acid reflux. The acid reflux management program offers all the diagnostic workup and various minimally invasive procedures via the mouth. Fanous also performs laparoscopic procedures for patients with a hiatal hernia and those who have had previous anti-reflux surgery. In addition, he evaluates and treats patients with gastroparesis. Fanous has presented at multiple regional, national and international conferences. He is the author of several articles in medical journals, such as the Journal of the American Surgeon, for his procedures in treating acid reflux disease. Based in Wausau, Wis., the Aspirus system includes four hospitals in Michigan and four hospitals in Wisconsin, 50 clinics, home health and hospice care, pharmacies, critical care and helicopter transport, medical goods and nursing homes.